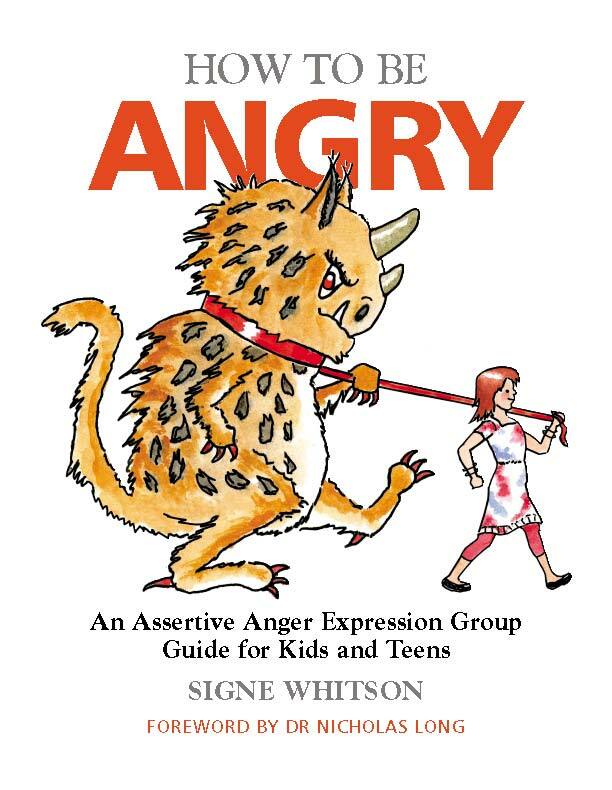 For more information on helping your child move beyond passivity, aggression, or passive aggression and on to more assertive communication, check out the activities, games and discussion ideas in How to Be Angry: An Assertive Anger Expression Group Guide for Kids & Teens. I LOVE this book! 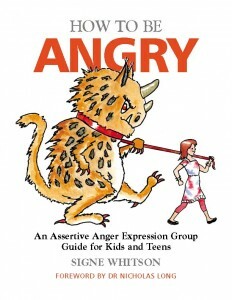 As a school psychologist and mother of 3, ages 11-16, this is an incredible resource. 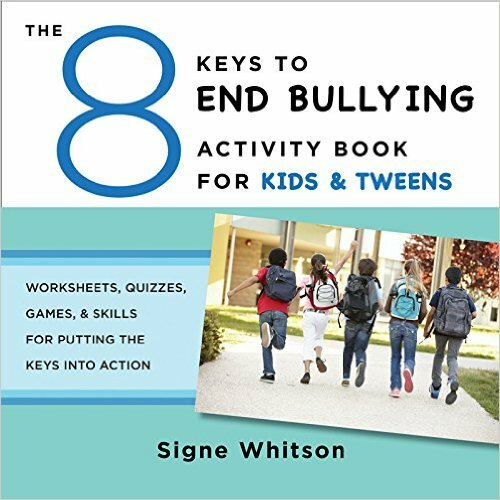 The book is divided into 8 “Keys” in order to learn what bullying behavior looks like, how to deal with it, and how to be an advocate to end it. There are realistic examples with opportunities for kids to process how they would handle each situation, in addition to answer keys and clear cut phrases/actions that kids could use if put into similar situations. I particularly loved that the author included a chapter on how our brains work in stress situations, using simple enough language for young ones to understand the difference between the limbic system (which controls our emotional response) and pre-frontal cortex (our thinking brain). I highly recommend this book to educators and parents of kids and tweens in order to help their children learn healthy ways to navigate their social worlds. Moving to a new town and attending a new school can be one of the hardest things your child will experience before entering adulthood. They will have to leave all of their friends, teachers and familiar places behind before completely readjusting to something new. An article published by Psychology Today claims that children who have recently moved can exhibit poor performance in school, bad behavior, drug abuse, and many other maladies. On top of all of that, things like cyberbullying the “new kid” can be rampant. According to the Cyberbullying Research Center, nearly 28 percent of middle schoolers and high schoolers experienced cyberbullying between May of 2007 and August of 2016. PBS reports that nearly 1 in 3 kids say they’ve experienced cyberbullying. But what exactly is cyberbullying, anyway? According to the National Crime Prevention Council (NCPC), cyber bullying is similar to other types of bullying, except that it takes place online over emails and text messages. Some examples of cyberbullying include: sending someone mean or threatening emails, instant messages or text messages; tricking someone into revealing personal information and sending it to others; and creating a website to make fun of another person. Unlike in-person bullying, cyberbullying can take place 24 hours a day, even when your child is alone. A 2015 article by Scientific American confirmed a direct correlation between cyberbullying and an increased likelihood of depression among children. There have even been instances in the news where a child was cyber bullied to such an extent that they took their own lives. So what can we do to help our child if they are being cyber bullied? For parents, it is important to know what sites your child is visiting and to understand who they are interacting with. According to stopbullying.gov, this is the first step for parents to take in order to prevent cyberbullying before it starts. Establishing rules with your children about what sites they visit and what activities they engage in can help eliminate potentially harmful conditions. The best thing for your child to do if they are being cyber bullied is to not respond to the attacks of a cyber bully and to block them using the privacy features of your E-Mail or messaging. Any response to the bully from your child can be easily circulated and prolong the confrontation. Be sure to save all bullying emails and texts, and send them to your Internet Service Provider (ISP). Remember that bullying and cyberbullying can be a crime if they are threatened with violence or harassed based on their gender or race. Although technology provides another avenue for children to be bullied, it also provides accurate records and features that can yield an effective defense against it, legally or otherwise. It is also beneficial to create a stress-free home environment for your child if they are experiencing cyber bullying, especially after moving to a new place. Start off by creating stability in your new home that your child can come to rely on, such as a weekly game nights or pizza every Friday. Try to de-clutter your home environment and make it organized so that your child knows where everything is if they need it. It is also helpful to foster clear and loving communication with your child in your home so that they know they have a safe haven from any sort of bullying or negativity, and so that they can share with you when something is wrong. In many instances, children will feel embarrassed and not want to share the fact that they are being bullied. By being aware of your child’s online activity and having open communication about what to do if they are being bullied online, parents can help their children thrive after moving to a new town or city. This terrific article from Hands Free Mama offers a simple, genius strategy that all educators and counselors can use to genuinely connect with students. Remember, real learning occurs only in the context of trusting & supportive relationships.